For many reasons, it’s largely agreed upon that Marvel and Netflix’s Iron Fist is a disappointment, to say the least. The most talked-about reason? 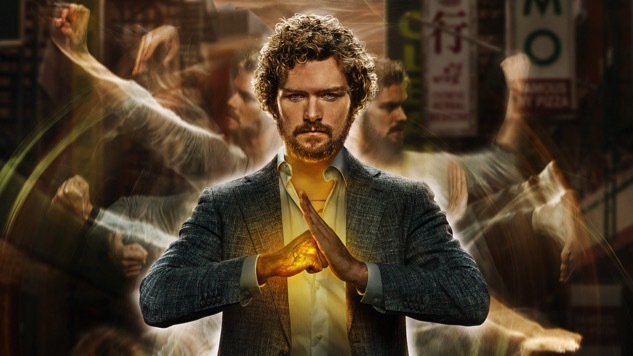 The show’s very white Danny Rand. As true to the comics as his whiteness may be, a lot of viewers and critics aren’t on board for another exercise in boring white savior-dom. And according to actor Lewis Tan, the show’s version of Rand almost was Asian. That’s right: the half-Chinese, half-white Tan was very nearly cast as Iron Fist. According to an interview with Vulture, after Tan read for the part and discussed his availability and potential scheduling, the part was handed to Game of Thrones’ Finn Jones. I personally think it would have been a really interesting dynamic to see this Asian-American guy who’s not in touch with his Asian roots go and get in touch with them and discover this power. I think that’s super interesting and we’ve never seen that. We’ve seen this narrative already; we’ve seen it many times. So I thought it would be cool and that it would add some more color to The Defenders. And obviously I can do my own fight sequences, so those would be more dynamic. I think it would be really interesting to have that feeling of an outsider. There’s no more of an outsider than an Asian-American: We feel like outsiders in Asia and we feel like outsiders at home. That’s been really difficult—especially for me. Okay so I'm 100% sure @TheLewisTan is the highlight of @MarvelIronFist ????? If, after all of this, you’re still interested in watching the show, you can check out its official trailer below. You can also read our review of the series here, in case you alternatively want another justification to continue avoiding it.